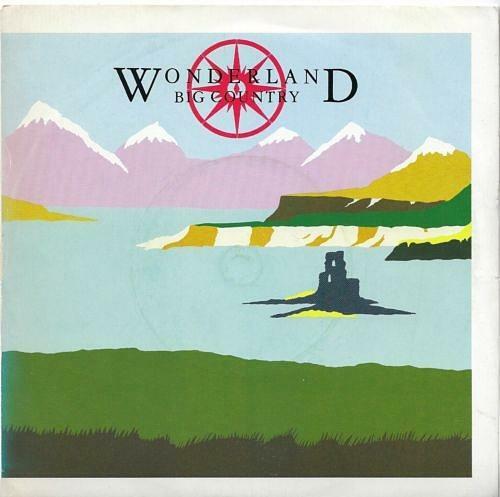 "Wonderland" was the second of three British top 10 singles for Scottish band Big Country, and was released as a non-album single on 9th January 1984. The video clip above is from the band's official Youtube channel, and features the band performing the single live on The Tube on 17th Feb 1984, which aired on ITV. It's a stunning performance, and they also performed songs from "The Crossing", too. The official video released back in the 80s, features the band performing out in the wilds of Scotland. In the U.S., "Wonderland" was released as part of a four track EP, along with "All Together", "Angle Park" and "The Crossing". It reached No.86 on the Billboard Hot 100, and No.48 on the Rock Albums and Top Tracks Chart. The chart was renamed The Top Tracks Chart in September 1984, and is now called the Mainstream Rock Chart. The single entered the UK singles chart at No.13 on 15th Jan 1984, making it the second highest single that week - John Lennon had the highest new entry at No.11 with "Nobody Told Me". It reached No.8 on 22nd Jan for one week before falling back to No.10. The single also reached No.4 in Ireland. Big Country's previous single "Chance" - the fourth and final single from their debut album The Crossing - had reached No.9. The band's original line-up consisted of Stuart Adamson (vocals and guitar), Tony Butler (bass), Bruce Watson (guitar) and Mark Brzezicki (drums). Sadly, Adamson committed suicide on 16th Dec 2001, aged just 43, after a long battle with alcoholism. Big Country's most recent release was the 2013 album The Journey. Watson and Brzezicki are the only two original members remaining in the line-up, with Watson's son, Jamie, on guitar, Mike Peters on vocals and Derek Forbes on bass.